Thermal sources, includes filaments, basket Heaters, boats and boxes. 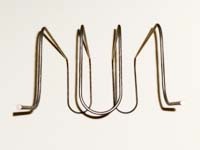 Some thermal sources described in Direct Resistance Heating can be constructed to accommodate crucibles and, therefore, fit in this section. 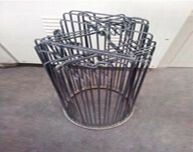 In particular, refractory metal wire baskets or refractory metal boxes can be shaped into truncated cones of appropriate depth and slope to suit a given crucible. 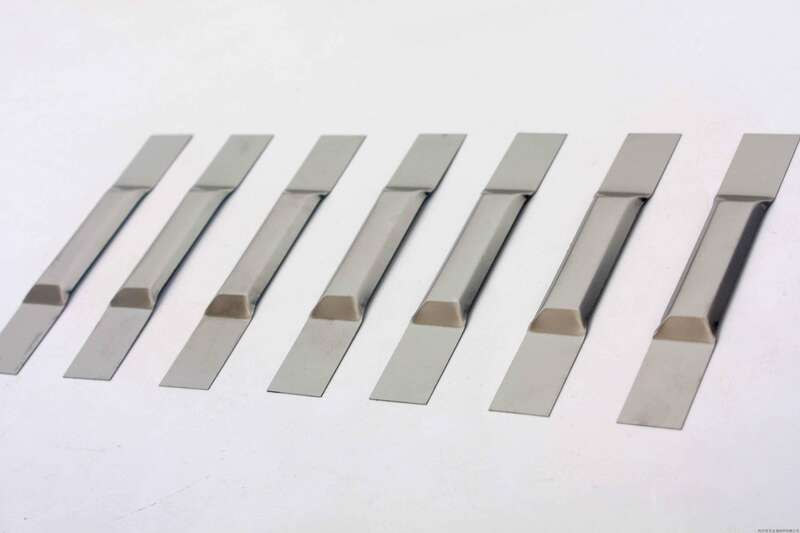 While such heaters lack the refinements and end-effect correction found in the evaporation cells, they provide inexpensive approaches to film deposition of materials that can’t be in direct contact with a refractory metal. The evaporant is placed on/in a refractory metal source through which a high electrical current flows. The method’s low equipment costs are balanced by the difficulty of maintaining a constant evaporation rate (when compared with other techniques) and possible reactions between evaporant and boat material. 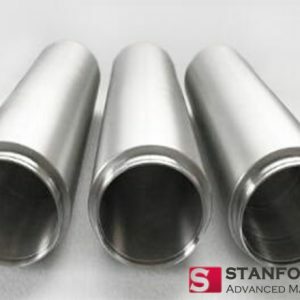 These devices are often called thermal sources and are essentially open heaters frequently without thermal radiation shielding, insulation, or any tricks to reduce thermal gradients. 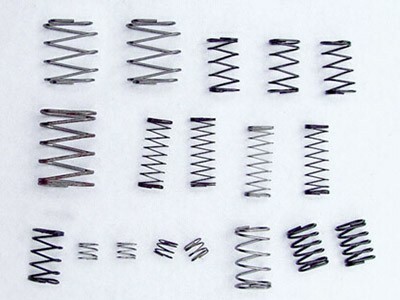 Single- or multiple-strand tungsten wire is bent into a shape (loop, point, coil) that suits a particular mounting or the required evaporation pattern. Evaporant is deposited on the wire by dipping into a melt, into a solution of a thermally degradable salt, or physically capturing pieces. The material’s evaporation rate is varied by changing the current. 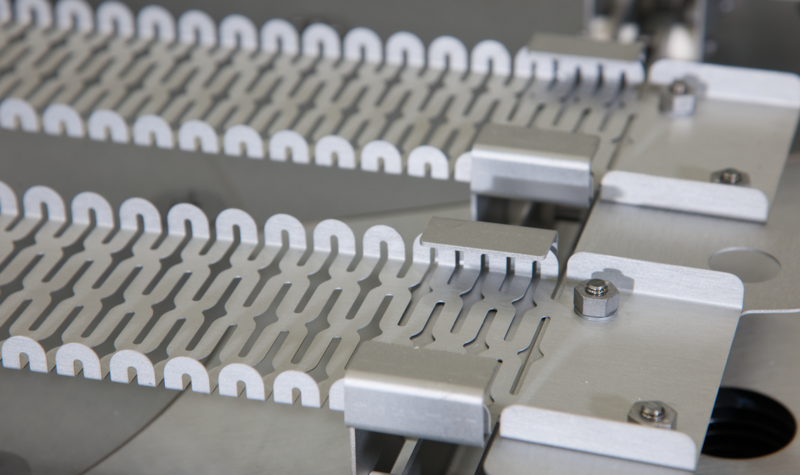 If the material wets or alloys with the heater, non-reproducible or continuously changing evaporation rates may occur. Since this source is inexpensive, it is often used once and discarded. If a refractory metal wire is shaped into an inverted conical basket, larger “pieces” of material can be inserted into the cone. These are also used to heat small crucibles. 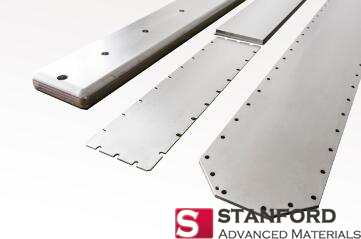 Thin, flat tungsten, tantalum, or molybdenum sheets are formed into shapes with creases, dimples, folds, bends, etc., to hold evaporant. The complexity ranges from a dimple in a strip to multi-chamber baffled boxes with sideways pointing vapor chimneys. 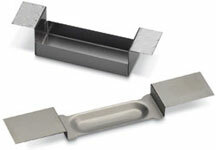 The “baffle” in a baffle box prevents a line-of-sight between evaporant and substrate. This type of source is used where the evaporant is known to “spit” (crepitate). A coated boat has a thin coherent layer of aluminum oxide covering the dimple. These boats are sometimes recommended for applications where the hot evaporant reacts with refractory metals. 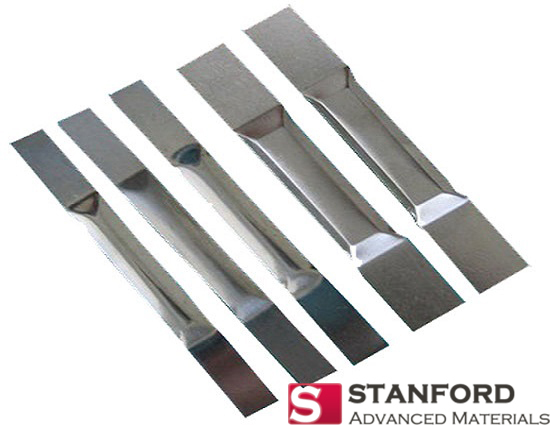 For specific applications, thick tungsten rods and fine meshes/screens are recommended. Chromium evaporation is one common example. The thick rod has lower resistance than a filament, making it easier to control lower evaporating temperatures. Meshes are sometimes used to extend the coverage area without moving the substrate.